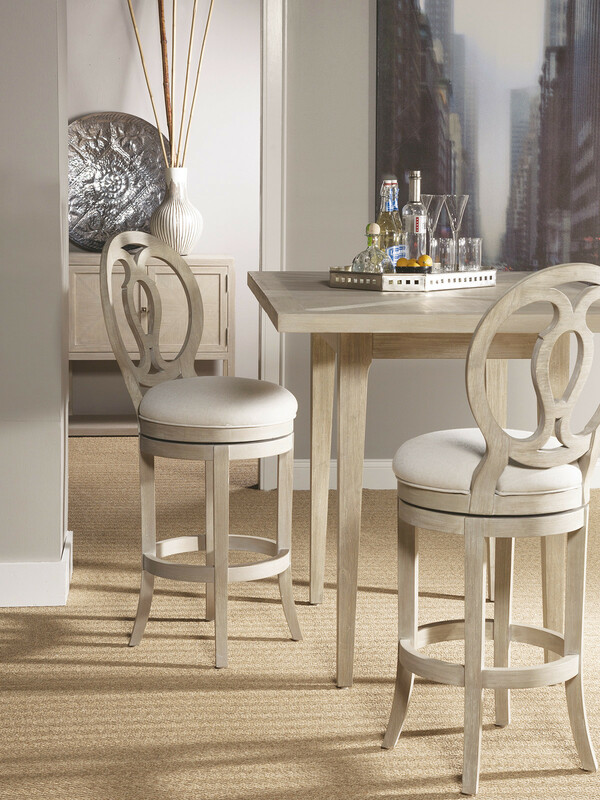 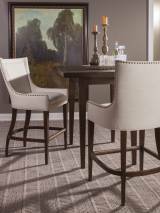 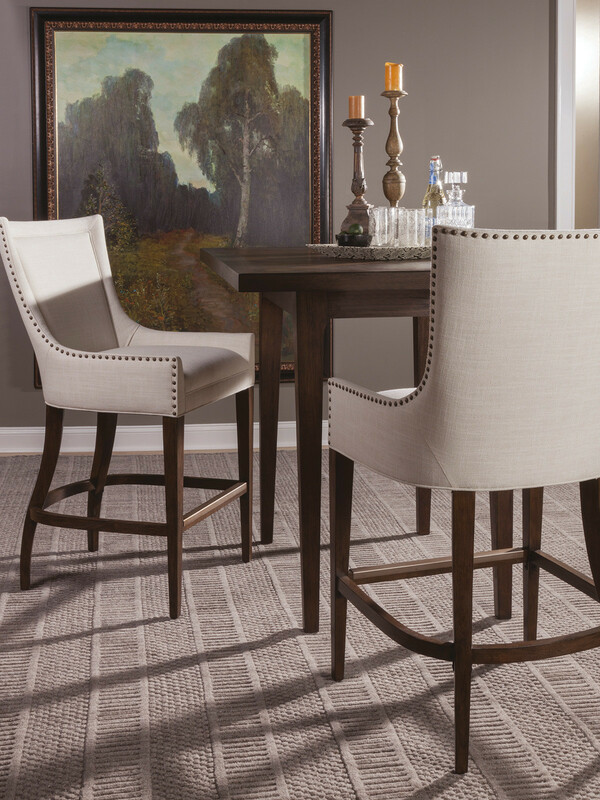 Farmhouse design crafted from Mahogany in the Grigio finish, a warm gray tone with hand wire brushing. 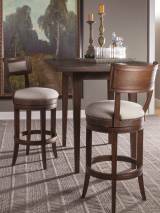 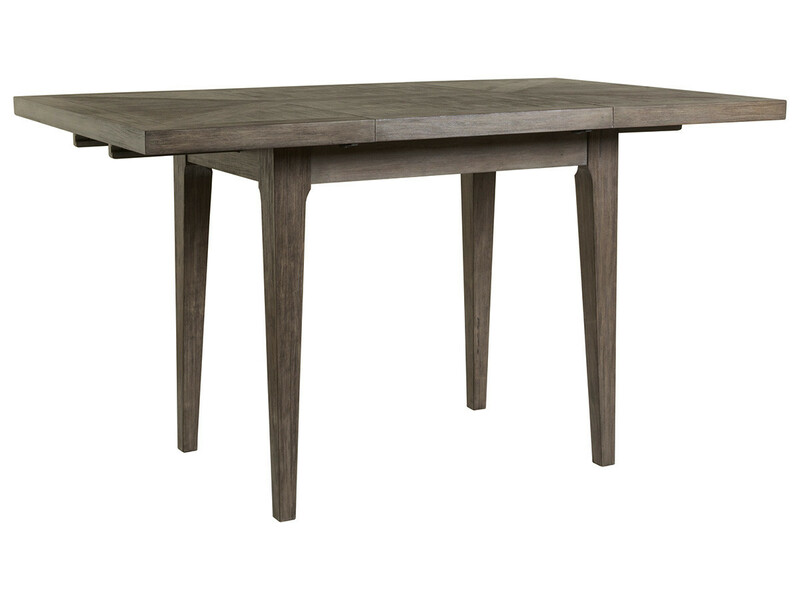 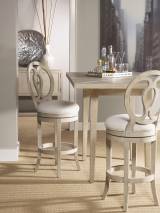 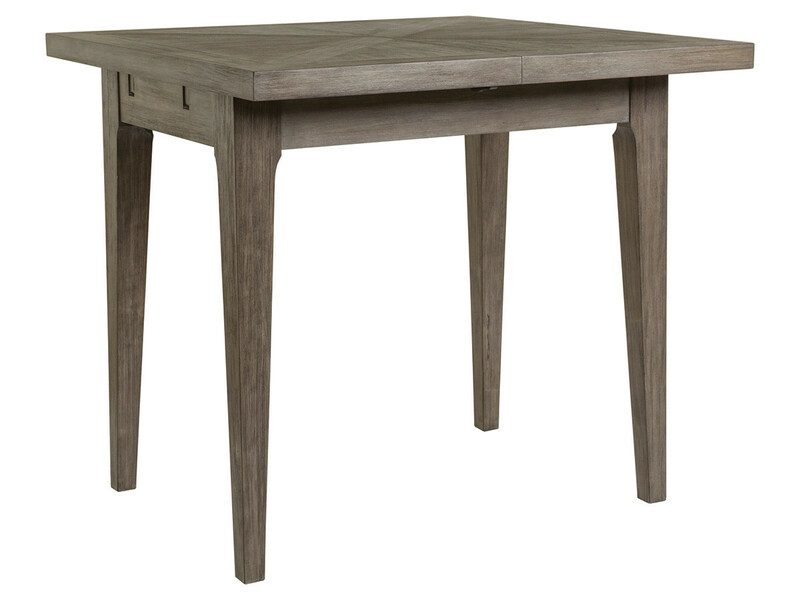 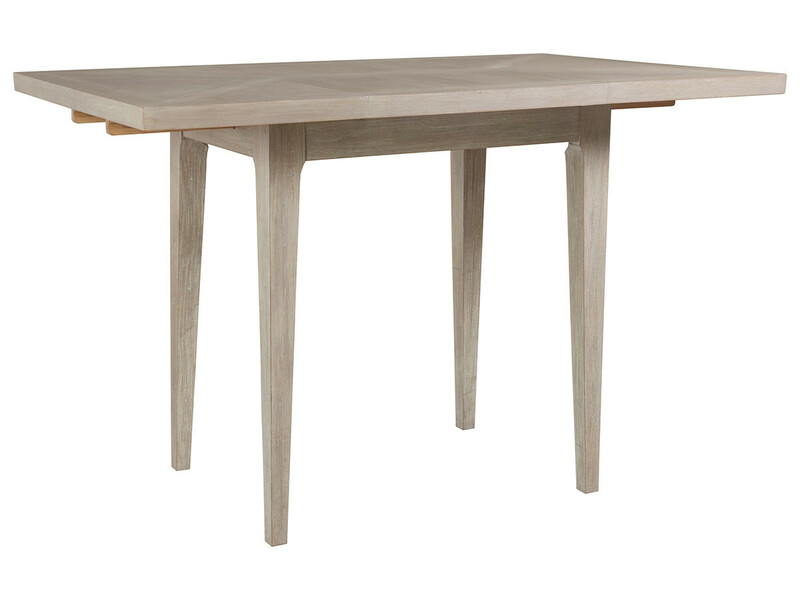 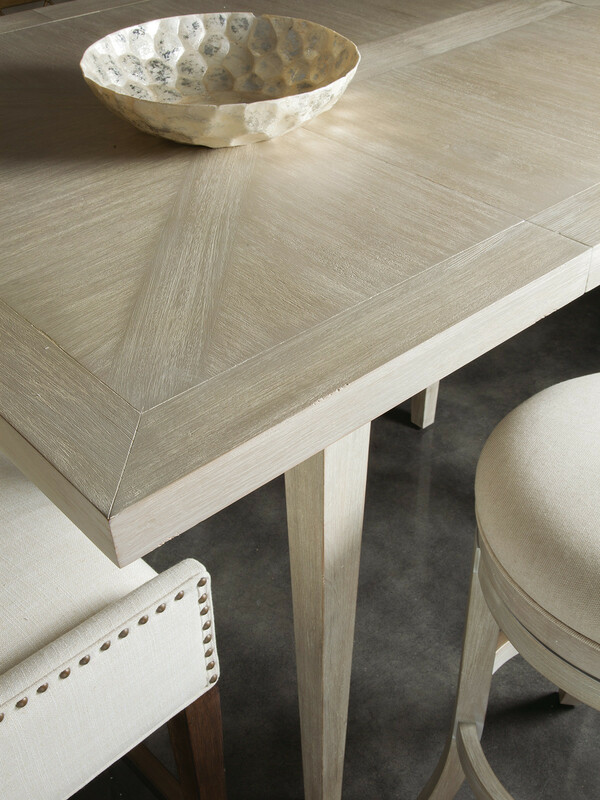 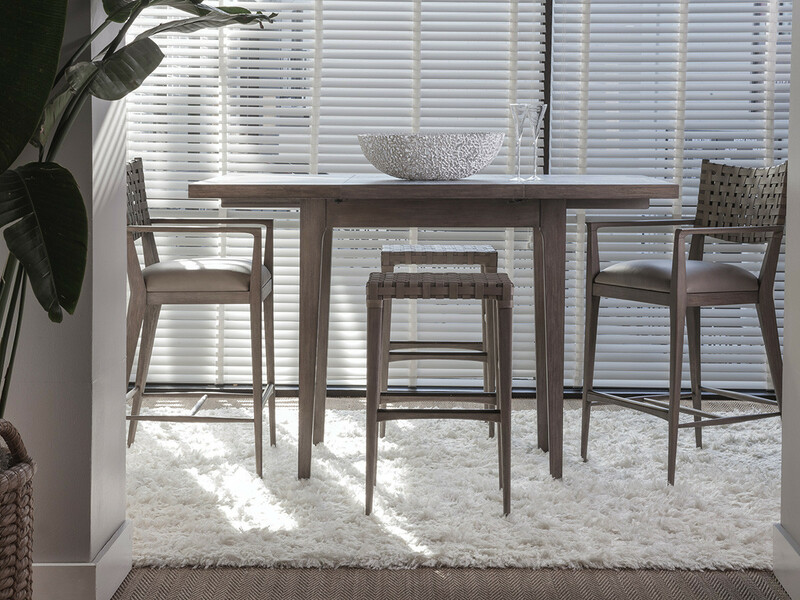 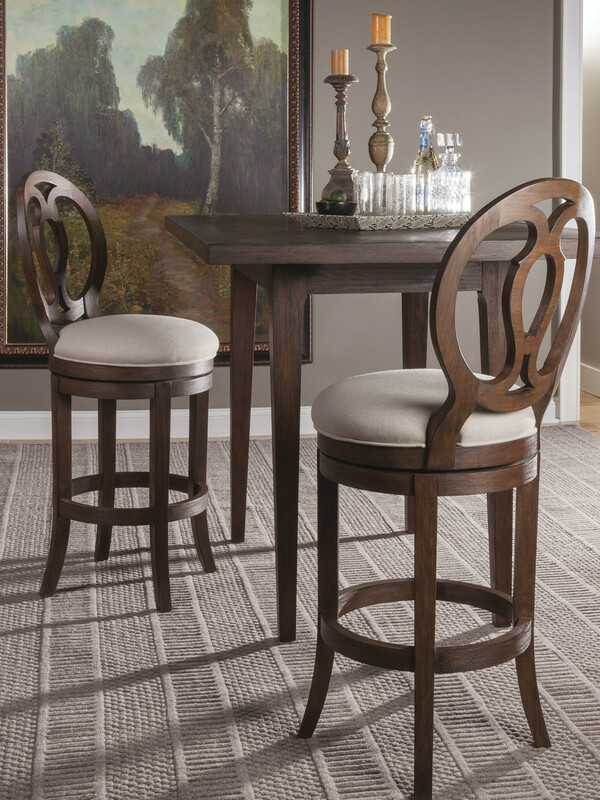 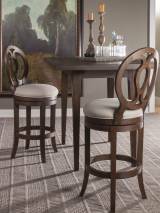 Features mitered corners and a cathedral pattern veneer top.The 40-inch square table extends to 64-inches with the 24-inch leaf and will comfortably seat six. Two sets of legs are included for the conversion between counter and bar heights. 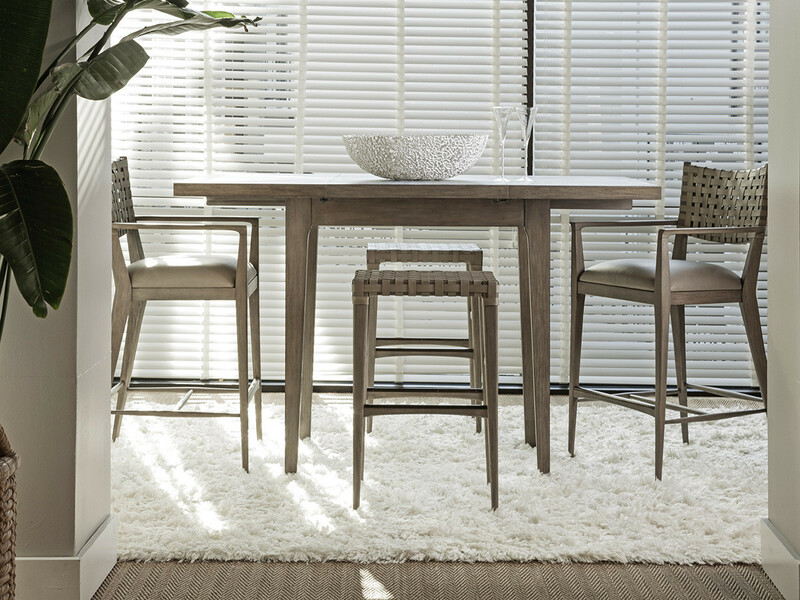 Available in all Cohesion finishes. 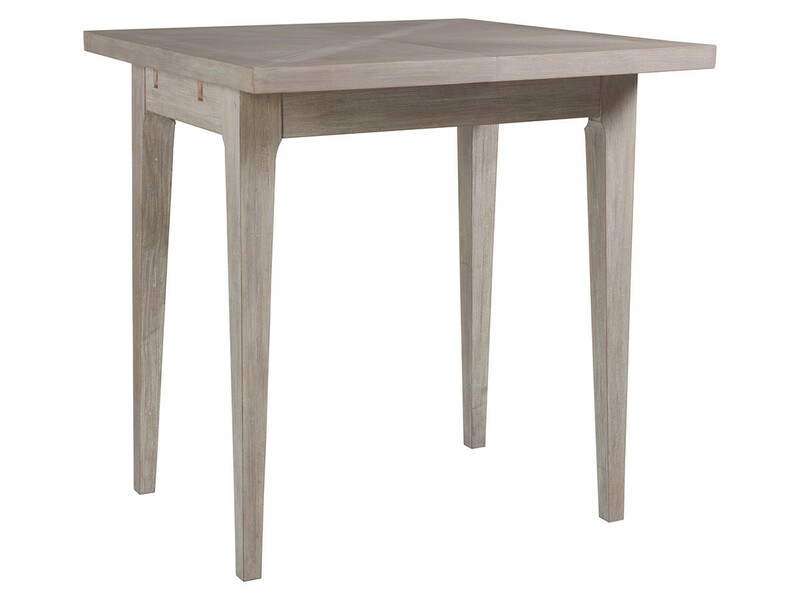 Dimensions: 40W x 40D x 42H in. 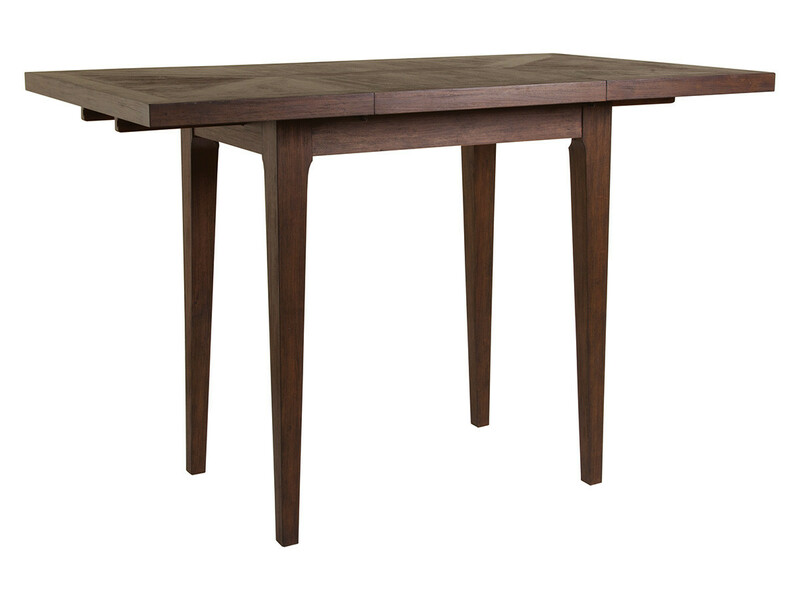 Table Extends To: 64 in.